I will let this article say it all for me! This is heresy and is clearly against Scripture especially if you take the Bible as literal! Israel is still the apple of God’s eye and there will be a remnant saved in the end. The whole of Scripture is that God chose Israel first, they rejected Him, He knew it would happen and then as part of His master plan He reached out to the Gentiles, but also part of His master plan is to graft Israel back in again! The Tribulation period is just for that to occur. We need to be bold in our faith and speak the truth even when we might have to correct another believer who is not understanding Scripture. If this does not work then it must be called what it is and that is heresy! Keep looking up! Now is the time for all Christians who stand on the authenticity of the Word of God to condemn false teachers who are leading millions of Christians astray with their false doctrines and anti-Semitic views. Today I read an article in the Jerusalem Post advocating that Jesus wasn’t Jewish and was more likely a Palestinian! Every Christian friend of Israel is the target of these non-biblical Christian leaders who want us to give the enemy the ultimate victory by denying that our Messiah was a Jew. Because if Jesus is a “Palestinian” the Israel and Jews cannot stand on the Covenant that God made with Abraham, Isaac and Jacob (Israel). This growing trend among Christians, especially Christian leaders, is both shocking and outrageous. Even more appalling are the leaders behind this movement – organizations like the World Council of Churches and Lynne Hybels, wife of Pastor Bill Hybels of Willow Creek Community Church in Chicago, Ill. Along with this trend, earlier this year, church leaders like Bill Hybels, Rick Warren of Saddleback Church in Orange County, Calif., and Robert Shuller of the Crystal Cathedral were encouraging pastors to invite Muslims into their pulpits to celebrate our common values, embracing another heresy: Chrislam! What happened to these so-called Christian leaders in their seminaries? Indeed, we are witnessing the day that Matthew 24:11 says would come to pass: “Then many false prophets will rise up and deceive many.” Shockingly, these false prophets are leaders of the church. With all of the confusion swirling around about the biblical heartland, Christians who know the Scriptures must speak out and proclaim justice on behalf of our Jewish brethren and Israel. Not one of these leaders quotes Scripture to substantiate their beliefs. Their views stem from centuries of doctrines and traditions of men, not the Bible. For a Christian leader to suggest that the land of Israel belongs to the Palestinians is a lie from the pit of hell. The Bible is clear from Genesis to Revelation that God will keep His Covenant with His people, all Israel. The Apostle Paul confirms that truth in the book of Romans, Chapters 9 -11. Christians are grafted into that Covenant through Jesus. The Apostle Paul said in Galatians 3:29, “If you are in Christ, you are Abraham’s seed and heirs according to the promise.” The promise Paul was referring to is the same promise God made to Abraham in Genesis, and then repeated it to Isaac and Jacob. Paul further stated in Ephesians 2:11-13, that we, Gentiles in the flesh, were once outside of the commonwealth of Israel, but because of Jesus’ shed blood, we have been brought into the commonwealth of Israel. So how do we know who the false prophets are? Anyone who would teach against the Covenant God made with Israel, which was called to uphold His commandants and to be a light to the Gentiles. And the last time I checked, the land is part of that Covenant God said was “irrevocable”! God did not say he would give it to the terrorists whose ancestors He told Joshua to wipe out because of their wickedness! What do these leaders not understand about that? Unfortunately, this trend is not new, for as the book of Ecclesiastes reminds us, “There is nothing new under the sun.” Only 73 years ago, with the rise of Nazi Germany, we saw the same anti-God, anti-Christ and anti-Semitic spirit rise up with little resistance from Christian leaders and their congregants. Back then, the battle wasn’t about whether the Jews should have a country of their own; instead, it was whether the Jews were worthy of life. This age-old battle is an example of the “new” anti-Semitism that is growing worldwide. This “new” anti-Semitism is not just anti-Jewish as it was in Nazi Germany; now it is anti-Israel and anti-Zionist as well. But its insidious goal is the same – delegitimize the right of the Jews to their biblical homeland and ultimately dehumanize them and deny their right to exist. This is a very dangerous place for these so-called Christian pastors and leaders to tread. These leaders are nothing more than wolves in sheep’s clothing. God warned the Prophet Joel in Chapter 3 that in the latter days He was going to wipe out the nations of the world because they were dividing up His land. Who is leading the charge? The United States of America … the “Christian” nation. At the time of the rise of the Third Reich, Germany was the most Christian and most highly educated nation in the world. It was the nation that gave birth to the Protestant Reformation. But millions of Christians turned their backs as their Jewish brethren were being slaughtered like animals or led into gas chambers. And where was the church? They turned away, ignoring what was suffocating the life out of the air around them as human ashes fell on their doorsteps and the smell of burning flesh filled their cities. If Dietrich Bonhoeffer were alive today, he would find himself facing the same church he challenged in Germany. A church that was more interested in protecting its own interests than God’s chosen people. I daily remind my children of the words from the prophet Obadiah when God told him that in the last days He would wipe out the descendants of Edom because they stood by while their brother Jacob was held in captivity. I remind them that one day, they will have an opportunity to stand with their Jewish brethren and all Israel, and stand they must! 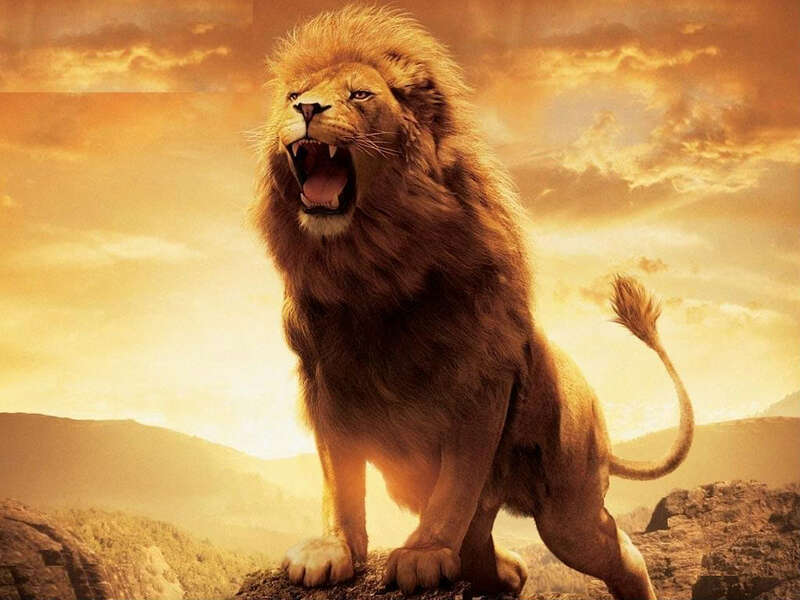 My dear Christian brethren, if God will judge the descendants of Edom because they stood by and did nothing, how will He judge the church for it’s silence –yet again – today? I believe God’s vision for His last-day church is based on His revealed Word—because the Bible clearly outlines what the church of Jesus Christ will be like just prior to His coming. I am not saying God’s last-day church will be a repeat or copy of the first-century church. No—I am saying it will be even greater than that! It will be mightier, stronger, with an ever greater revelation of Jesus. 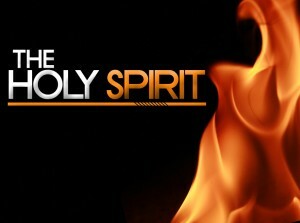 It will have greater unction from the Spirit than ever—greater even than at Pentecost! God always saves His best wine for last! The prophet Daniel confirms this. He said that certain prophetic truths were locked up, only to be revealed in the last days: “For the words are closed up and sealed till the time of the end. . . . And none of the wicked shall understand, but the wise shall understand” (Daniel 12:9-10). 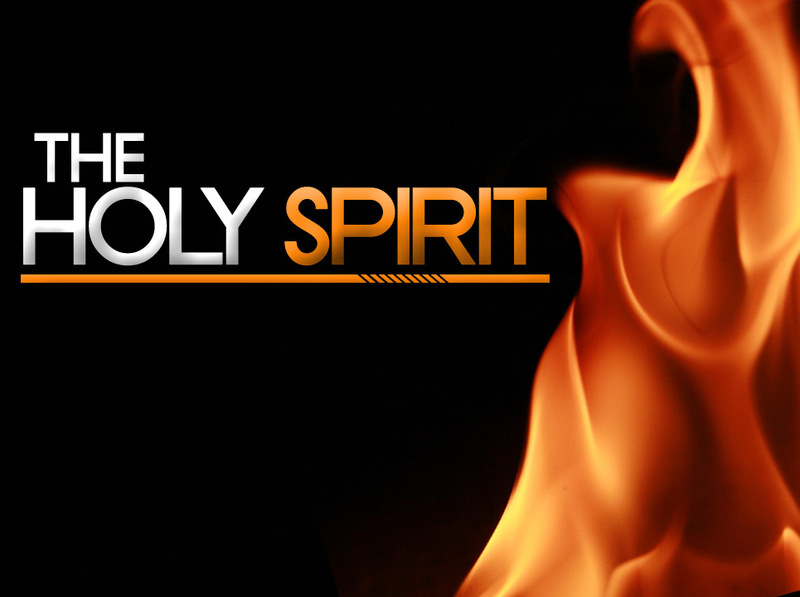 Today the Holy Spirit is revealing these things to spiritual, discerning saints! “It is written: ‘Eye has not seen, nor ear heard, nor have entered into the heart of man the things that God has prepared for those who love Him.’ But God has revealed them to us through His Spirit. For the Spirit searches all things, yes, the deep things of God” (1 Corinthians 2:9-10). The Lord is preparing a powerful yet humble army of shepherds after His own heart and also a remnant congregation of hungry sheep who have turned away from the deadness and sin of the modern church. 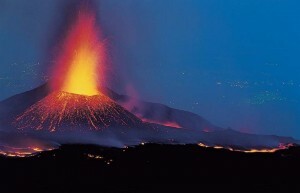 The scene is being set for that church which will be hot, not lukewarm—and it will rock the very foundations of hell. No power on earth will be able to ignore or despise it! Is Elam [Iran’s] Destiny Spoken of in Jeremiah 49:34-39? 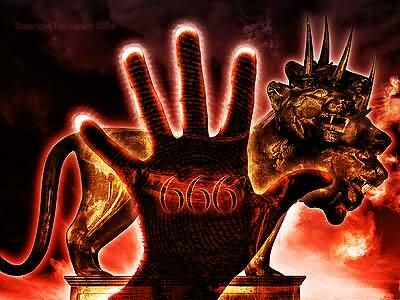 The Elamites were the Persians; they acted against God’s Israel, and must be reckoned with. Evil pursues sinners. God will make them know that he reigns. Yet the destruction of Elam shall not be forever. But this promise was to have its full accomplishment in the days of the Messiah. In reading the Divine assurance of the destruction of all the enemies of the church, the believer sees that the issue of the holy war is not doubtful. 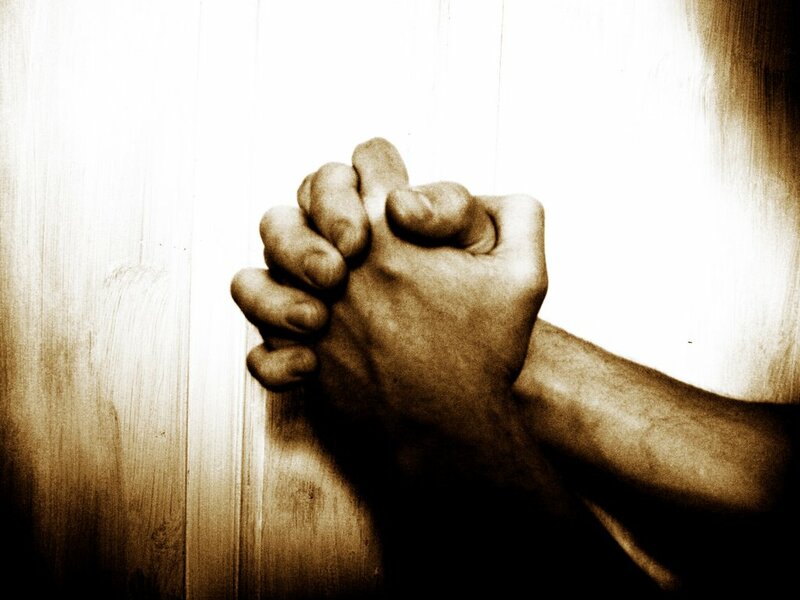 It is blessed to recollect, that He who is for us, is more than all against us. And he will subdue the enemies of our souls. 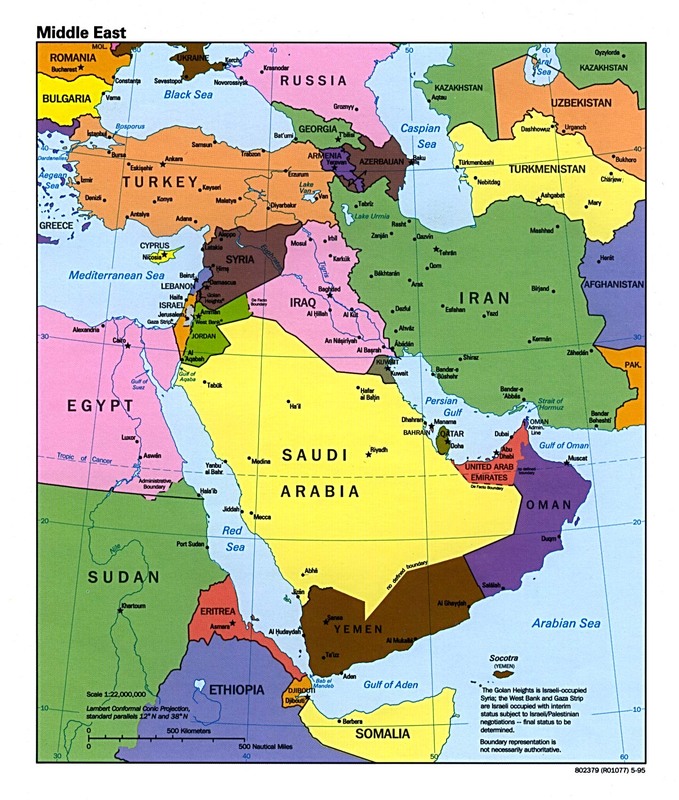 Koenig’s perspective: This could very likely be separate from Iran’s role in the Gog and Magog war of Ezekiel 38-39. Could this happen in 2011-2012? A side note: Purim begins at sunset on Wednesday, March 7, 2012, and ends at sunset on Thursday, March 8, 2012. The Church in America: Do We actually Get It? I am attaching an article from Dr. Al Mohler concerning Joel Osteen, who pastors the largest church in America, who during a recent interview has stated that Mormonism is another form of Christianity. This is disturbing to say the least. I believe it shows the decline in the church in this country around remaining firm in our beliefs. We lack a basic understanding of what are the core tenants of our faith! Ebnjoy and keep looking up! That message includes some truth, of course – but it doesn’t even come close to the Gospel of Jesus Christ. Hell will be filled with people who bloomed where they were planted. The little details of it? 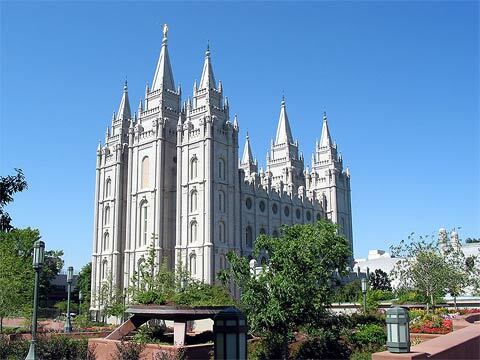 Mormonism does not differ from historic biblical Christianity in “little details,” and a faithful Mormon would be the first to point this out. Mormonism begins with a plurality of gods, not with the monotheism of the Bible. Jesus Christ is an exalted man – not the incarnate Word. The list of categorical doctrinal differences continues throughout the entire belief system. 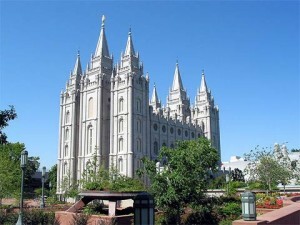 The very essence of Mormonism is the claim that historic Christianity is fundamentally in error, and that true Christianity did not exist on earth from the time of the Apostles until Joseph Smith. Mormonism can hardly be charged with hiding their movement’s teachings – the Book of Mormon and the other fundamental texts of the Latter Day Saints are published in plain sight. The world needed a “minimum shared body of rules to manage the global financial market” and “some form of global monetary management”. I love to provide this update as it is one of the most overlooked parts of End Time Prophecy. In Matthew 24, Mark 13 and Luke 21 Jesus Himself tells us to look into the heavens for signs of His return and the End of the Age. Look at the attached article to better understand this discussion. It is a fascinating study to comprehend that we may be living in these days mentioned by our Lord. The data provided by NASA and matched to the Jewish Feasts days can not be a coincidence. Here is an interesting study from Matt Leasher on how we are in the last of the Last Days. People and believers are scoffing about the Lord’s return! Read and understand! 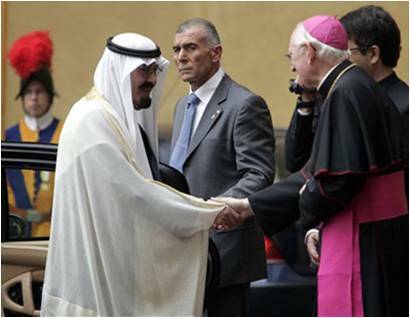 I am attaching for your reading pleasure an op ed piece I read over the weekend concerning the coming together of the Vatican with political Islam and banding against Israel. Since the Pope’s speech in 2006 in Germany against Islam this op ed piece shows the steps the Vatican has taken to mend fences over the last 5 years but it also shows that they even are helping to push the Islamic agenda forward. Could this be the beginning of the last world religion? Again remember all it would really take for this uniting to take place would be for a Pope to come along who would renounce the deity of Jesus as God. Enjoy the article I found it fascinating. Keep looking up! The earth is groaning for the return of its maker. Even yesterday here in Ohio near Youngstown we had a minor earth tremor. Volcanoes are blowing all over the world from Siciliy’s Mount Etna to the Canary Islands Pico de Malpaso to Indonesia’s multiple volcanoes to another big one in Iceland. Kings of the East: Are they ready to March? The Bible talks about the role the Kings of the East will play in the events of the last days. These kings are mentioned in the book of Revelation in chapter 16 in verse 12 as the sixth bowl is poured out on the earth in judgment from the Lord. The Euphrates River is dried up and the way is laid open for these kings to come into the battle in the Middle East. So we do know that these kings are eastern nations. 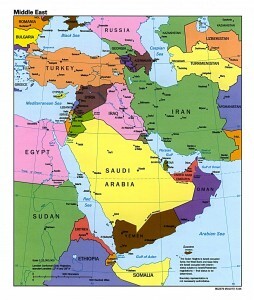 The largest most powerful nations east of Iraq are China and India. There has been a rapid emergence in the power that these Asian nations play on the world scene in recent years. These two countries are following on the heels of Japan and South Korea and are becoming Asian economic dynamos. They are large countries with extremely large populations and they are now fully awake. This rapid rising has occurred in the space of the last 40 years. They are impacting the world on a large scale from a military, economic and a financial perspective. When the last days time clock begin again with the forming of the nation of Israel in 1948 after almost 2,000 years, this rise of these Asian behemoths took place after this in conjunction with all the other events that have unfolded. 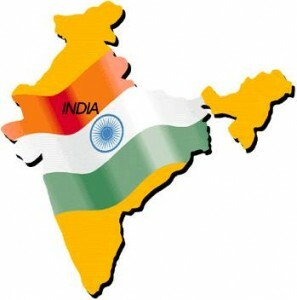 The key questions that we need to be asking are: are India and China the kings of the east from Scripture? And number two is will it be benefical to the world? The economic impact of these two countries is scary: they are dominating the global market. They are sitting at the global policymaking tables of the G-20 and other transnational organizations. These two countries comprise roughly 40% of the world’s land mass and approximately 60% of the earth’s population. Napoleon predicted over 200 years ago after returning from a trip to China “when China awakes, it will shake the world”. Well the world is shaking at this power! 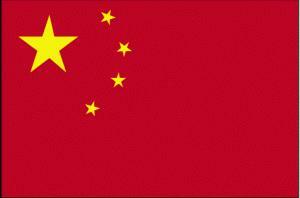 China can today field an army of 200 million men just by itself, when you add India to the mix can you say scary? The kings of the east are on the rise and will be prepared to march soon. I will provide periodic updates as we look at this phenomenon.